One of the biggest challenges that your marketing department will face is building your company's brand. Even though it is a challenge, it is an important one to have. In order for you to have an identity for your brand, you have to think about the entire process from the beginning. The way you work on the inside will have a huge impact on how people see your brand from the outside. You do not have to make certain members of your team sit in a room and talk about their ideas and strategies. One of the best things you can do is to find the best sales associates in the workplace and see what things are working for them. What strategies and messages are helping them make sales? What kind of things do they talk about with their current customers and potential customers? If you can get this information, you will soon find yourself on the path to success. The strategies and messages you use should certainly be able to evolve with the direction your company is going, but you should also make sure every department and team will have the same ideas. Your marketing process is important and it will take some effort for you to make it work. Every day that you show up to work, you should think about your company's brand. In order for your company to be successful, people will have to know your company and what it's about. When you use the right tools and software, you will be able to build a brand that will be unforgettable. Contact us today to find out what tools and strategies can work for your business. Are You Struggling To Get Emloyees To Use CRM Software? In order for you to get the most out of your CRM software, there are some things you will need to do. Since your sales team and other employees will be the ones using this software, you have to make sure you train them well enough. You will need to have the budget, time, and energy to make sure they are getting the best training sessions you can provide. You may need to spend months on getting your employees adjusted to the software so they will feel comfortable when it is actually time to put it to good use. Put The Software To Good Use You are not going to spend your time and money on a software and not actually use it, are you? You will need people to actually use the software if you want to improve your business. 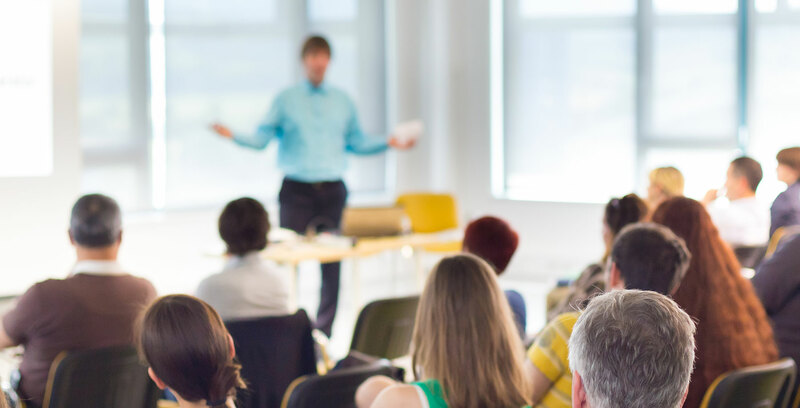 We understand that some of your employees may be a little hesitant to use something different, but once you implement the training session you can ensure them it is for the best. You can even offer rewards to the employees who agree to use the software. You can also offer more rewards to those who actually use it and constantly improve their sales with the software. Have you been wanting to use a CRM software, but are not sure which one will work for your business? Contact us today to find out how you can find the best CRM software for your business operations. CRM software, like ACT! or HubSpot, should be easy to access in multiple ways. First of all, it shouldn't take lots of training for your employees to learn the software. They should be able to find their way around it easily enough. In addition, employees should be able to access the software from their mobile devices. The greater access there is, the more data they'll input, and the more effective the software will be. Data is one of the best things about CRM software, provided that you can actually understand it. It's important to have software that produces clear reports. "In-depth statistics and analysis can offer huge support for driving your hire business forward. However, if the reporting functionality of your chosen CRM system is difficult to understand or interpret, it’s useless. Be sure to choose a CRM that easily visualizes your results in a way that’s digestible and, most importantly, usable." Don't just look for statistics and analytics. Make sure there are graphs that can help executives understand your findings. Finally, there are going to be issues at some point with your CRM software. When these occur, it's important that you have good support to fall back on. Good support goes beyond basic troubleshooting. An agency should also explain what went wrong and how you can avoid it in the future. Other examples of support include helping you understand your CRM reports, providing employee training material, and scheduling regular maintenance. This will all vary from agency to agency. To talk more about CRM software, or anything else, contact us today. Plateauing sales is never a good sign for growing businesses. It could mean several things, including that you've already maxed out your market or that you're not attracting new customers to your business. Either way, your business won't be able to grow for long if your revenue is fixed. One way to increase your sales is to implement CRM software. It gives sales representatives more chances to communicate with past and prospective customers. The time when a customer realizes he needs another order is crucial for businesses. If he's a past customer of yours, then you want to bring him back before he even considers your competitors. If you have no way of knowing when your customers are ready for their next order, then you can't prevent them from going to your competitors. With CRM software, you can track patterns in their order history to predict new purchases. Your business can only grow for so long without developing customer loyalty. It's cheaper to bring customers back as opposed to recruiting new ones, so it's imperative to foster customer loyalty from the start. With CRM software, your sales representatives can manage relationships with customers better. This plants the seed for customer loyalty. Discord between marketing and sales teams is detrimental for businesses. By implementing CRM software, your marketing and sales teams will refer to the same data, and will therefore be more aligned than they were in the past. To talk more about CRM software, or anything else, contact us today. In order for your business or organization to constantly improve how it obtains customers and services those customers, you will need to use the right contact management software. Businesses have to be able to react and respond quickly because the competitiveness in the business world is constantly increasing. A business needs to be able to understand all of their customers so it can make the necessary adjustments in order to grab the various opportunities that are standing in front of it. When you want to have success with your contact management software, you have to do more than just purchase a software and install it. You will experience continued success with your contact management software if you stay on top of all the changes and interactions with your customers. When you are able to provide great customer services experiences, you will be able to achieve all the customer-related goals that you have set for your business. The contact management software you are going to use will be the tool you need to give great customer experiences and obtain helpful insight on what your customers like and do not like. When you implement the right contact management software, you will be able to set reasonable expectations for your business. You will not have to worry about not meeting certain goals because you will already know what steps you need to take in order to achieve the success you are looking for. Are you ready for continued success and great customer relationships? Contact us today. Using a Customer Relationship Management (CRM) system for your company is crucial to the growth and success of your business. You see, CRM software is designed to help you manage customer contacts, have a systematic way of communicating with your prospects through lead nurturing, help you close more sales and grow customer retention. These are all key elements that effect your bottom line! More businesses are realizing the importance of CRM software and are leveraging this system to manifest their business goals and growth. In fact, studies reveal the impact CRMs have on business results. We’ve compiled a list of twelve to convince and confirm the need to having this system in place. The numbers were gleaned from Statistics and Hubspot showing the major benefits CRM systems have in sales, customer interaction, and retention. These alarming statistics prove the importance of leveraging CRM software for your business growth. It is the best way to engage with your customers, improve customer loyalty, and increase company revenue. Much success! Ready to use a CRM system to help boost sales and customer engagement for your brand? Contact us here for a 29 minute consultation! Patience is a virtue, especially within the context of your marketing process. A common mistake businesses make is rushing their campaign and as a result, sending an unclear message. "The next time you are planning a marketing initiative and reviewing your marketing process, allow your staff the gift of waiting. The best plans come out of careful consideration, creating, and tweaking. I don’t mean to say that delays should be built into the timeline, but after developing an idea, reading copy, or reviewing a layout, set it aside and do something else." As long as you slow things down, finding a balance shouldn't be hard. There are enough factors and deadlines pressuring you to work, so it's unlikely that you'll fall too far behind. The important thing is that you allocate more time to strategy planning. A few extra minutes at the end of the day when you're already tired don't count, either. Thought and consideration are what matter here, and you can't exactly measure them in minutes. We're stressing this point because if you don't have a good strategy, it's highly unlikely that your campaign will be successful. You can tell when a marketing campaign was rushed, and that's not a message you want to send to your customers. Businesses can improve their marketing campaigns just by putting more time into strategy planning. To talk more about your marketing process, or anything else, contact us today. Have you still been relying on the basic database you first started with when you opened your small business? Is this the database you use to gather information about your customers? Since your business has been growing, have you thought about changing your database and other tools so your business will not be behind? One of the best tools that you can use is a CRM tool, such as ACT! software. This software can help your small business obtain more customers, increase your sales, and gain loyalty in your new customers. There are various benefits to using a CRM software, and some of them are listed below. If you have been having trouble with staying on top of your appointments or follow-ups, your CRM software will automate these tasks and more. This is a great benefit for your small business because you will not have to worry about missing anything. When all of your information is in one database, everyone who has access to it can access all of the data that has been shared. When you use ACT! software, you will be equipped with everything you need to have effective sales meetings and follow-up meetings. Why Are You Avoiding Using Contact Management Software? When any business begins using contact management software for their operations it usually starts with some good intentions. Many of us have good intentions, right? Unfortunately, some businesses that try to use contact management software do not see the success they want. Many times, when something does not work for a company, they simply reject the software or process they were using. When the contact management software does not work for a company, they reject it and vow to never use anything like it again. Why do some companies want to avoid using the software? Many companies do not like that they will have to make some tweaks to the way they usually do things. Not every company wants to adjust their work routines to fit the software. If you are a salesperson, you should be worried about the conversations you are having with potential customers and not entering information into a system, right? You will probably feel like you are being held back from selling if you have to worry about contact management software. Despite these reasons that some people give, many companies have found a significant amount of reasons to use contact management software. Salespeople will be able to make more sales because they will be more efficient and productive at their jobs. The selling process will be quicker because all the required information will be right there at their fingertips. Are there reasons why you are hesitant about using contact management software? Contact us today so we can help you get on the contact management software bandwagon.